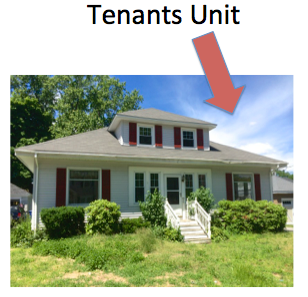 I keep trying to figure out how to share this property with you, since it's 2 units that are similar - but different! While we're working in the house we keep getting confused and I can see that happening in these posts as well. And the easiest approach I've come up with is to give them names. So from now on, Unit 1 is the 'Owners Unit'. It's the bigger unit and I keep thinking when we sell the house, the owners will live in that side and rent the other. And you guessed it, Unit 2 is the 'Tenants Unit', which is a bit smaller. There is a nice sized Living Room. The walls and molding are in great shape. It's obvious the house has been well cared for in the past, but sitting empty for 4 years is never good for a house.....which leads us to some of the surprises we've found. Here is the very red Dining Room.....with a mysterious hole in the ceiling. There isn't any plumbing above that spot, so we're not exactly sure what caused it! But I'm sure we figure it out during the course of the project. It's a great room with lots of windows. And don't you love the built in china cabinet? The kitchen.....well, let's just say it's a bit tired...... and it's hidden in the back of the house. It would be better if we could tie it to the rest of the living space with a more open concept. Right now, it's down the hall from the dining room. 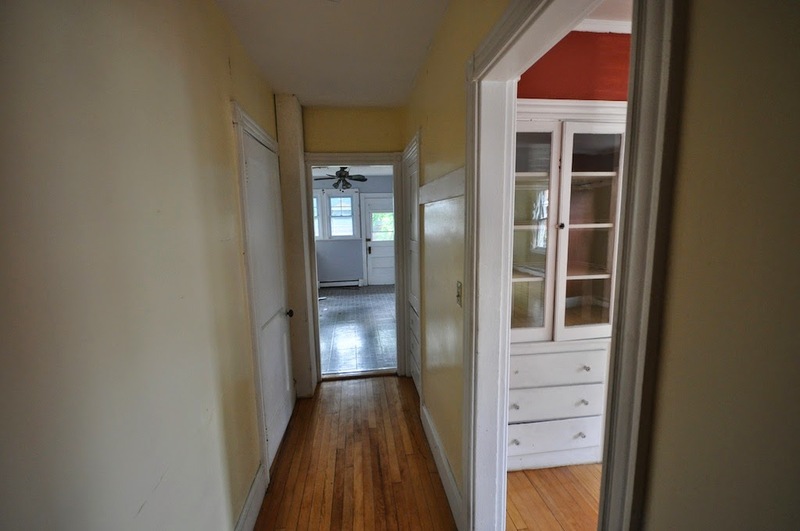 There are two small bedrooms off of the kitchen. 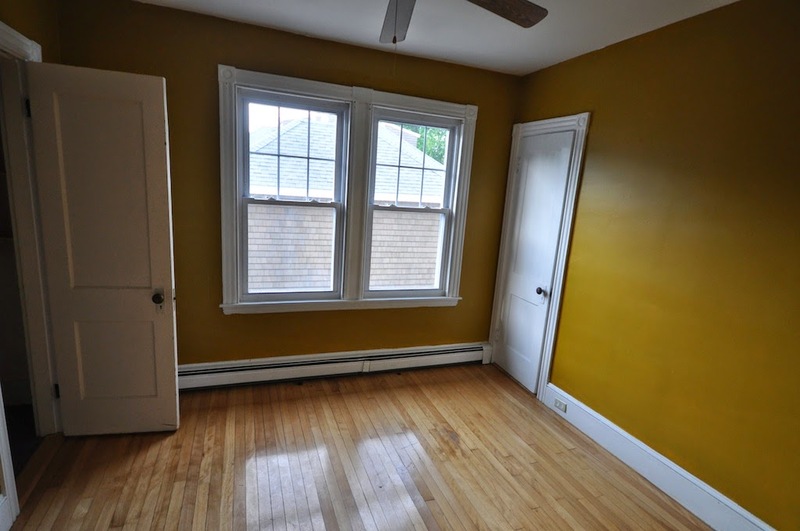 And I know the one room looks gold in this photo, but it's really a very odd green/gold. Don't get too attached to these colors - they will change! 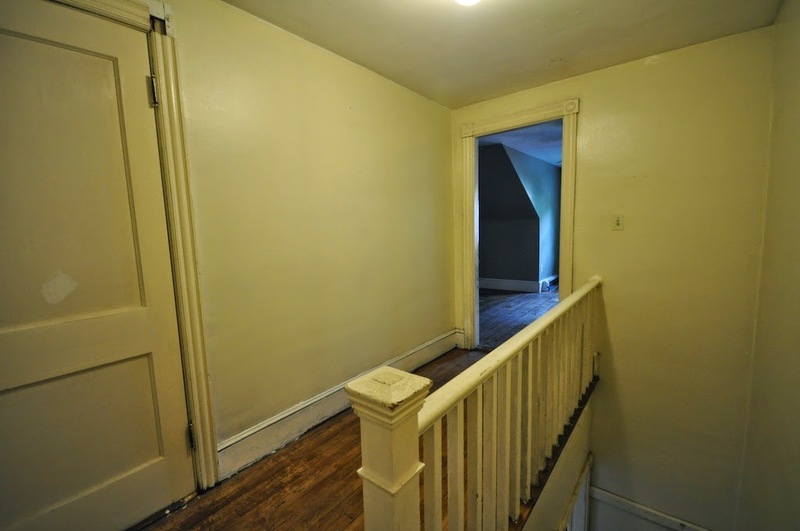 The second floor has a wide hallway and a bedroom with cool angled ceilings and a large closet. But that's all that's up there. So if you need to go to the bathroom in the middle of the night - you guessed it! Dash downstairs. So..... I'd like to add a bathroom. It looks like there is space to do it. But we need to decide if that's affordable. There is only one window upstairs, which translates into dark spaces! It would be so much nicer to get more light in there. For now, I'm working hard to figure out how to update the Tenants Unit. 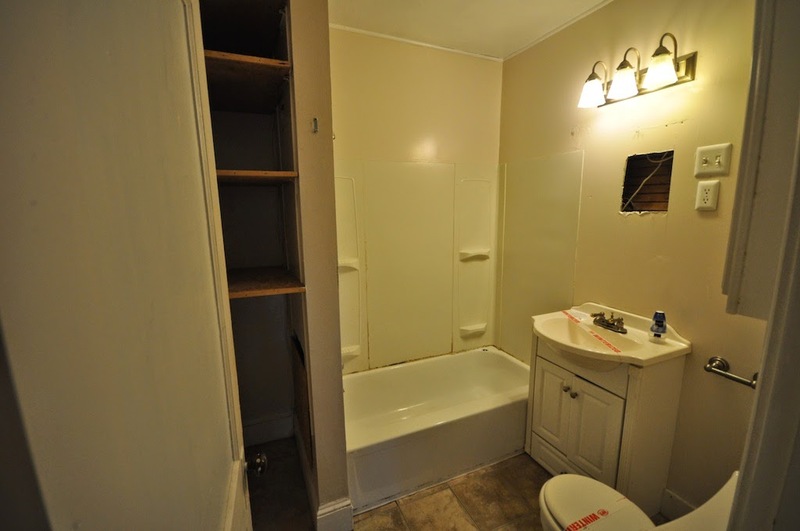 According to the City records, this is a 2 bedroom unit, with one bath. And yet we really have 3 bedrooms. Should we keep all 3? 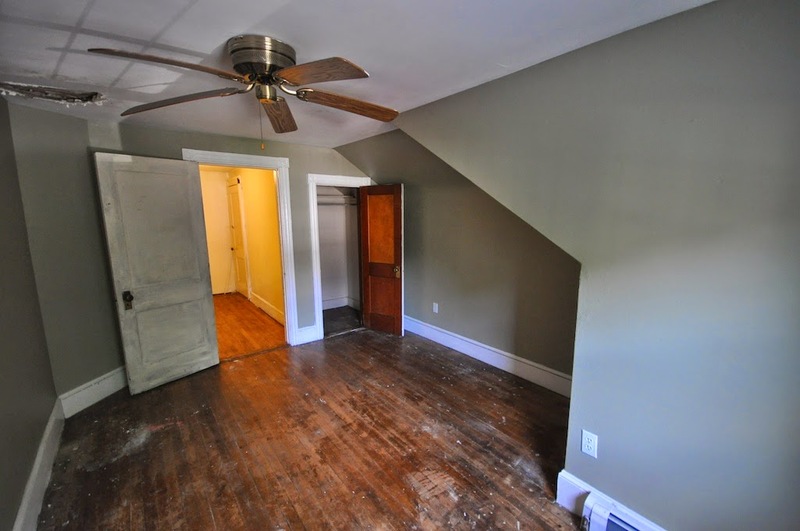 Or consolidate the two tiny rooms into one large bedroom? For those of you that are renters, I'd love to hear your thoughts! What do you think we should do? 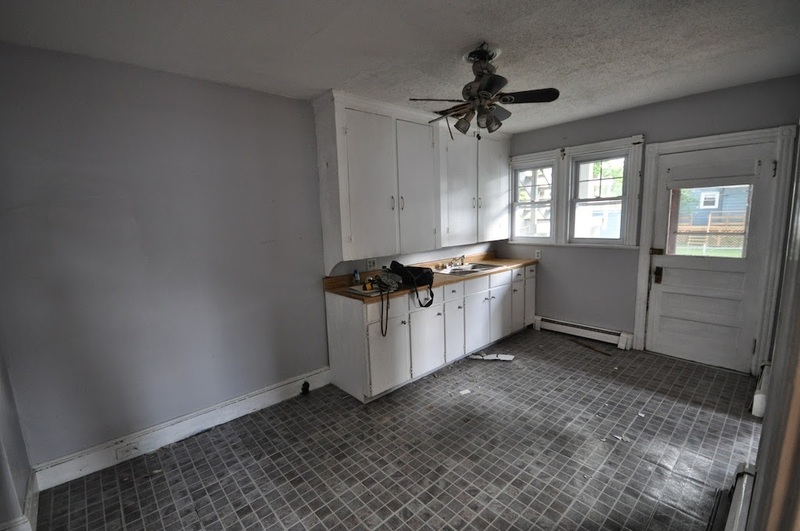 Want to see the Owner's Unit Before pictures? Click here! I'm a renter! A renter with a husband and three children... so if you think the owner would be open to renting to a family, the three-bedroom would be great. 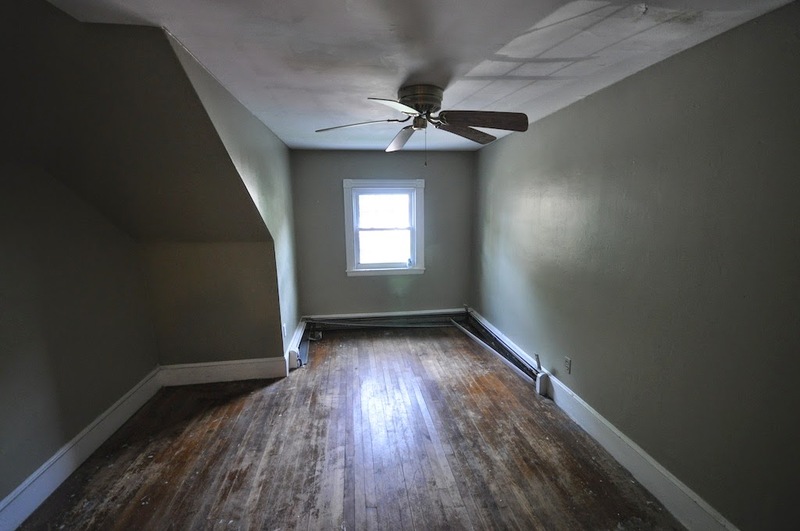 Even with one child, the third bedroom could be an office/guest room. 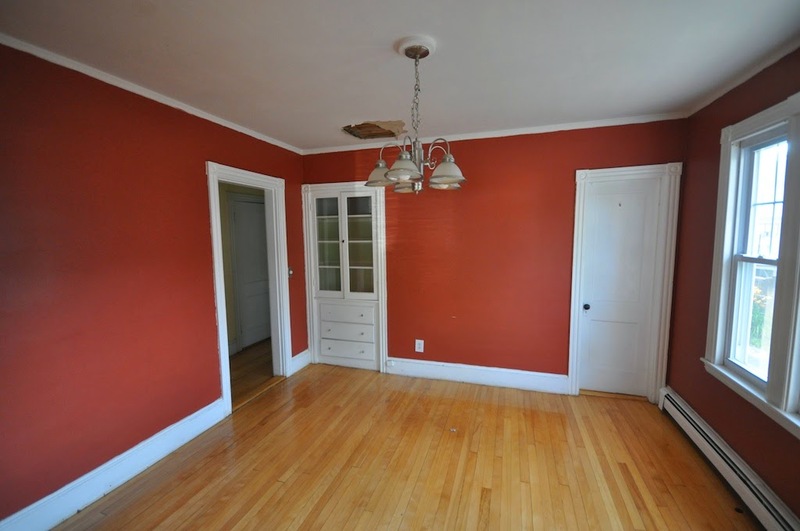 If we had no children, I'd prefer a two-bedroom and use the smaller for a guest room/office. The latter may be an easier job for a landlord. That's great input. The only thing I struggle with for a family with young kids, is would it be okay for parents upstairs and kids down? Or the other way around? Or maybe it's worse with teenagers......too easy to sneak in late? Ha ha.....can you tell we've already lived through the teenage years? I think of it's possible with the room sizes, keeping a 3 BR unit would be nice. Sometimes that extra bedroom is the only place for storage ;-) As for opening up the kitchen to make an open-concept area....OK...I'm probably weird and old fashioned but I like the idea of a separate room called "the kitchen". I don't want to visit with people when I'm cooking and don't want them to see me making my cooking mistakes. Hee hee! But I do realize open concept is what sells these days so...... Pretty exciting to be following you again on another rehab journey. Absolutely open concept, the rooms are so small otherwise. I really see this as a single person or couple only space. Keeping with that idea then I would open the two smaller bedrooms into one large bedroom and work the upstairs space as office space / guest room. I don't see this space working well for a family with children for the same reasons you mentioned above. 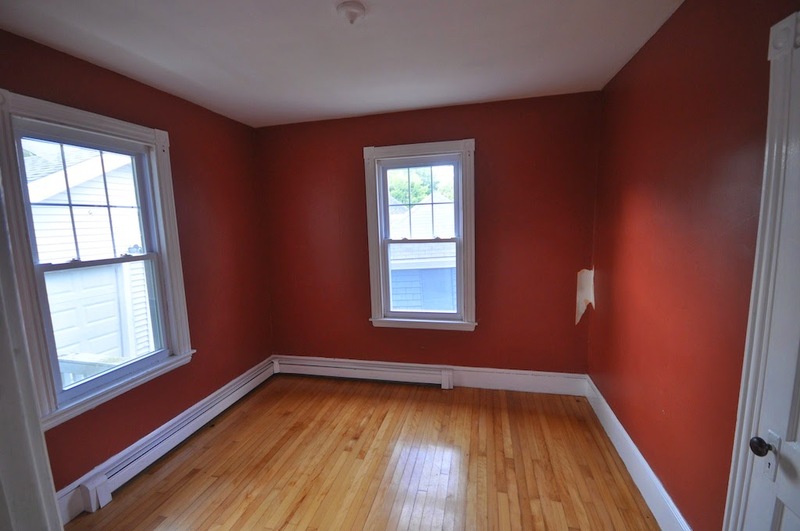 As a childless couple who rents, I'd still love to see three bedrooms. The second would be our office and the third would be a guest room/extra storage. i am currently looking at senior housing in multi-unit apartment buildings. it makes me crazy that i am not finding places with enough storage space or large enough rooms. there seems to be the perception that older people don't have hobbys or friends or guests. that doesn't really address the 2 or 3 bedroom issue you have, but maybe keep that in the back of your mind when you run into a situation where that might matter. I own income properties...and more bedrooms always bring in more $$ (big plus when selling the unit, larger rent potential is more valueable, and you would be able to sell it for more money as a 3 bedroom than a 2 bedroom). However, I would be concerned about the city records only listing it as a 2 bedroom....my first thought is one of the bedrooms added w/o a permit and/or not a "legal" bedroom? (ie. might not meet size/egress requirements). Even still having the space as an office or such would be nice.